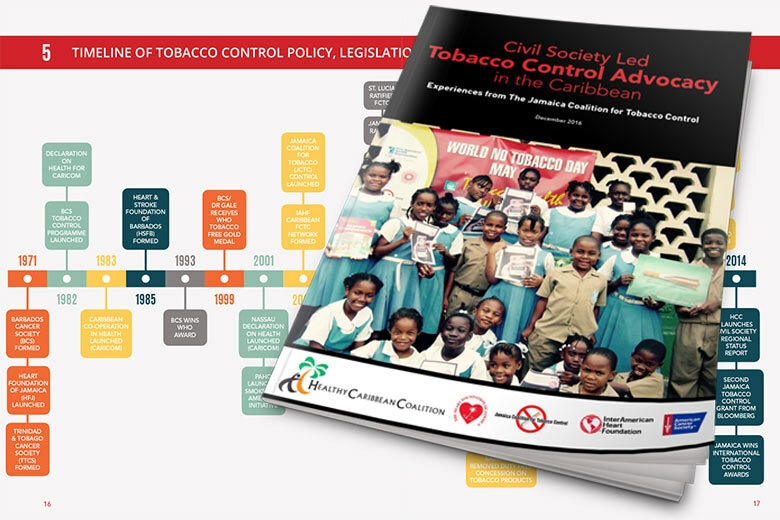 This report documents best practices of the Jamaica Coalition for Tobacco Control (JCTC) and other Caribbean CSOs in the implementation of tobacco control measures within the region. 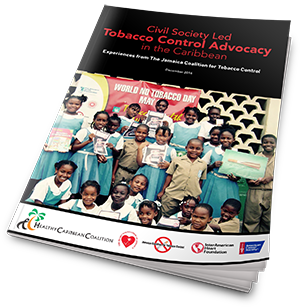 The report explores examples of effective advocacy strategies that have withstood the constant pressure of the tobacco industry and have created stepping stones for action in countries where there is a lack of political will. Successes recorded here are in countries where governments displayed strong political will for tobacco control and which collaborated with key stakeholders, including CSOs, to achieve FCTC objectives. Finally, the report outlines a ‘road map’ for advocacy and action in tobacco control and shares lessons learned and strategies needed to implement key articles of the FCTC. Provide ‘advocacy how to’ or ‘road map’ to guide civil society organisations in a stepwise manner to support the enactment and implementation of tobacco control legislation aligned with the FCTC.